The waterpark at the La Joya Sports Complex is seen Wednesday April 4, 2018, in La Joya. La Joya ISD’s $20 million investment in a one-of-a-kind Sports and Learning Complex is finally ready to open its doors to students and the community after more than four years. The 215-acre development includes a 90,000-square-foot waterpark, a 6,124-square-foot planetarium, a 27-hole golf course and 30,000-square-foot tennis courts in addition to a 21,993-square-foot natatorium, which underwent a long delay. The delay occurred when the original construction company, Texas Descon, fell dramatically behind on completion and the project had to be rebid. 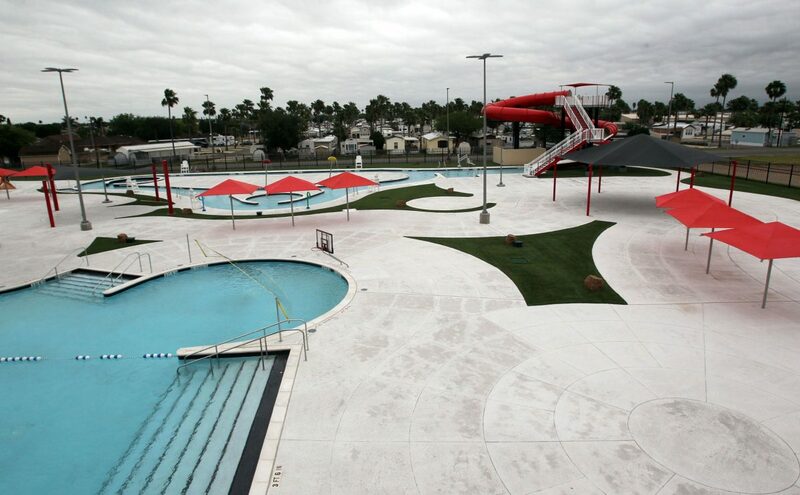 A wading pool and slide are seen at the La Joya Sports and Learning Complex on Wednesday April 4, 2018, in La Joya. 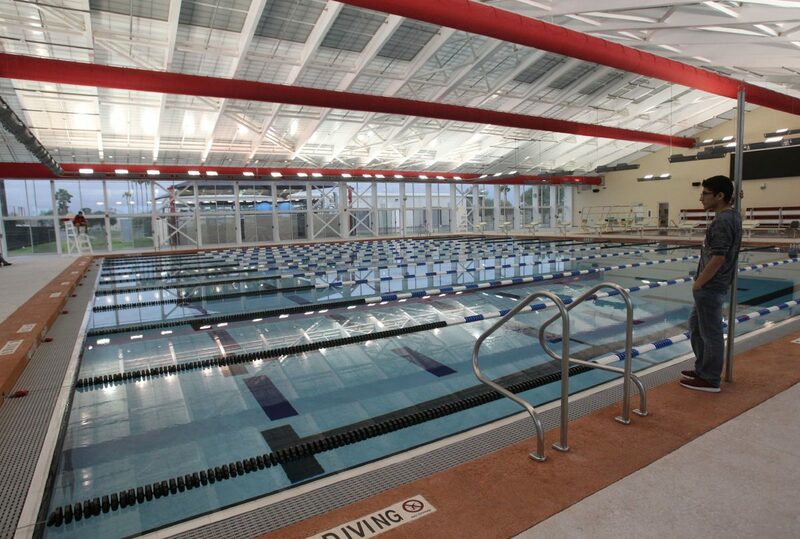 The natatorium at the La Joya Sports and Learning Complex, seen Wednesday April 4, 2018, in La Joya, will be able to host swimming competitions. The originally estimated $16.3 million project was first awarded to Texas Descon in 2014. Texas Descon broke ground on the Martin Valley Ranch Property in September of that year. The expected completion date was November 2015, but little to no progress was seen with only months left before this date. The construction company fell into financial trouble defaulting in dozens of construction projects throughout the Rio Grande Valley. The district was then forced to rebid the project, which at the one-year mark had only reached 20 to 25 percent completion, and the McAllen-based company D. Wilson Construction took over. Funding for the massive undertaking came from the district’s fund balance, Vela said. Updates regarding the cost of the original view of the complex were discussed upon the second contractor’s involvement. The sports complex is a new endeavor for the school district, and while the hope is to share the entire development with the community and surrounding districts, La Joya ISD Superintendent Alda Benavides said they are first conducting a test run with only local students at the planetarium and the natatorium, where they will have minimal staff to begin with and then accommodate to the demand. The waterpark will be open to the public throughout the summer beginning with Memorial Day weekend, and will cost $5 per child or $8 per adult. Swimming lessons will also be available at a cost of $40 per child. The rest of the complex, including the golf course and tennis courts, will also be open to the public. 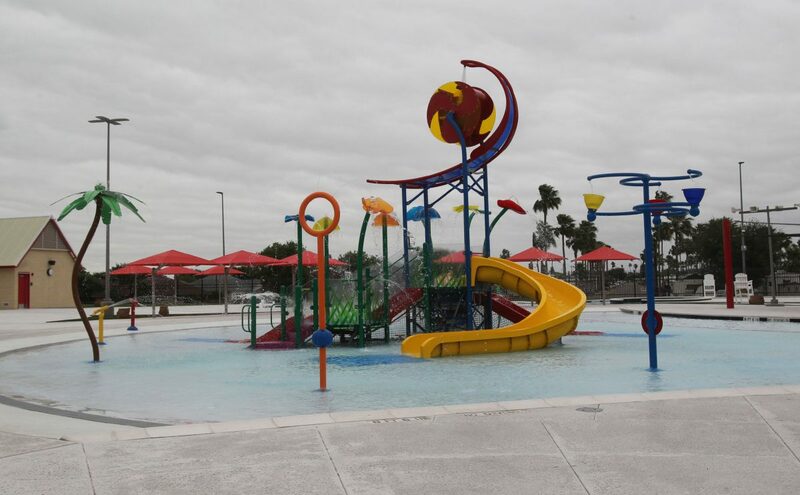 Vela said proceeds from the water park alone are expected to help the district break even on operational costs by next year. With more than 90 percent of her students coming from low socioeconomic backgrounds, the significance of creating access to facilities that they might have otherwise not had access to was of utmost importance when planning for the facility, she said. The planetarium will bring many more opportunities for a different learning experience when it comes to science, and the rest of the complex will encourage a healthy lifestyle.